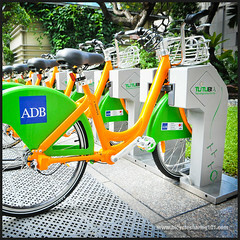 As bicycle sharing has shown the greatest growth of any transport initiative in recent years, the future of PBS looks bright and innovation is bound to come as more systems are implemented globally. When you look at the future of PBS, there are obvious innovations that are certain to take place. How and when those will happen, however, is more difficult to predict. Definitely in Western societies and increasingly in Eastern societies, there is a push to make bicycle sharing break even, at least in the operational cost. In the 2013 financial year, only New York was scheduled to make a profit and it is pretty obvious that most cities lack the leverage New York has in advertising and sponsorship potential. Alison Cohen, Director of Bike Share Services at Toole Design, expresses the idea as, “We recommend options that provide a range of cost structures that can provide for greater accessibility and lower cost for entry into the system. Optimizing the fare structure will expand user access to a wider range of users, as well as increase the overall cost recovery by use. 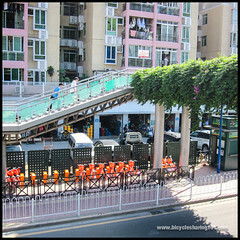 It will also serve to make the fare structure more transparent to users, lowering complaints and increasing customer satisfaction, which is important to potential sponsors, to the City and to the operator.” This is not a bad idea but might be hard to implement in cities where the free period is entrenched in the concept of bicycle sharing. 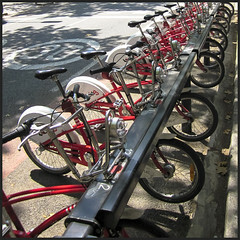 Cohen further states that, however the new bundling of trip fares is done, there still must be the usage fee after a certain time period to incentivize users to return the bicycles. The use of telemetrics for data collection and analysis to monitor and optimize bicycle sharing systems has only scratched the surface. As with all transport, bicycle sharing will continue to embrace technology that will make system design, innovative revenue streams and integration easier and cheaper. Incentivizing users to opt in to sharing their personal data in exchange for reduced fares or targeted promotional activity will allow systems to mimic the data collection and revenue potential from which other industries are benefitting. 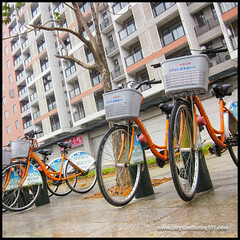 E-bikes and scooters will definitely find their way into bicycle sharing systems or use bicycle sharing models to create their own system. Work is currently being undertaken in developing the hardware and associated operational support to handle charging both at the station and at a central location. An area of potential huge growth is whether e-bike sharing can replace private scooter trips in Asian cities, where scooter use can be up to 75 percent. If it could, the environmental and social benefits could be enormous, as governments could then control emissions, speeds and parking — issues of significant importance if you’ve ever lived in an Asian city dominated by motorized two-wheelers. 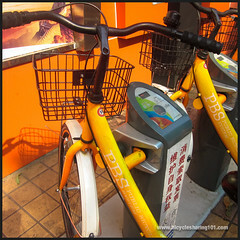 The author has worked in various cities in China where the city officials understand and want to have a more robust revenue model, but have difficulty achieving this because so many systems operate without subscriptions and with very low tariffs for keeping the bicycle out for more than the one-hour free period. By the time this book is read, a system in Denmark will have taken the telemetrics South Korea has pioneered on their bicycles a step further to provide tablets on the dashboard of each bicycle. The system, called GoBike, will replace Copenhagen’s previous bicycle sharing system. GoBike’s tablet will provide most of the functionality a normal tablet would, such as restaurant locations and route finding, as well as being integrated with other public transport timetables and ticketing. 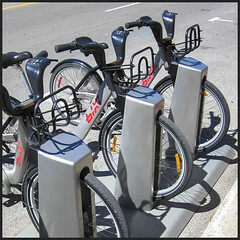 “Finally, to target a larger scope of bikesharing users, fourth-generation systems may be more likely to incorporate electric bicycles, which enable longer-distance trips; encourage cycling on steeper hills and slopes; and lessen physical exertion requirements, particularly when users are commuting or making work trips in business attire.” (Shaheen et al., 2010). Scoot in San Francisco is a scooter rental service with multiple outlets. It draws mostly on collaborative consumption models and borders on being a personal public transport option, except that it is not government initiated. For example, in Ho Chi Minh City, Vietnam, 78% of trips are made by scooters or motorcycles, with annual growth rates of 8.4% to the total fleet, according to the Asian Development Bank. CONTRIBUTE YOUR PEER REVIEW of this Conclusion. If you are an industry expert who has read the book, we would value your feedback.